This Bee Plugin License Agreement (the “Agreement”) is entered between MailUp Inc., a Delaware corporation with offices located at c/o WeWork, 1111 Broadway, Suite 300, Oakland, CA 94607 (“MailUp”), acting for and on behalf of itself and each of its Affiliates, and the client identified with the information provided by completing the Registration Form as below defined (hereinafter, the “Client”). MailUp and the Client individually also the “Party”, and collectively, the “Parties”. The Software is an instrument reserved to professional users and the Client undertakes to use it exclusively in connection with its business and for purposes related to it. The recitals, the definitions and the external links to the Agreement constitute an integral and substantive part hereof. Access Credentials means any user name and password created by Client at the time of registering an account at https://developers.beefree.io/signup and used to access the online system that allows Client to create and configure a Client Application. Additional User Fees means a periodic fee calculated based on the number of Additional Users times the per-user fee specified for the Subscription Plan selected for the Client Application. Additional User(s) means the total number of unique users of the Software logged during a Billing Period for each Client Application minus the Prepaid Users included in the Subscription Plan selected for that Client Application. Affiliates means any person, corporation, or other legal entity that, directly or indirectly, controls, is controlled by, or is under common control with MailUp. For this purpose, “control” shall mean (i) possession, direct or indirect, of the power to direct or cause direction of the management and policies of a party, whether through voting securities, by contract or other means; and/or (ii) ownership, directly or indirectly, of more than fifty percent (50%) of the outstanding equity or voting shares of a party. Agreement means this Bee Plugin License Agreement. Application Keys means a set of unique identifiers (Client ID and Client Secret Key) provided to Client for each instance of Client Application and used to authorize each use of the Software for that instance of Client Application. Client Application means an instance of the Software created by Client at https://developers.beefree.io. Client may create multiple Client Applications as they may decide to use multiple of the Software embedded in various Client Software Packages. Client Data means, other than Resultant Data, information, data and other content, in any form or medium, that is collected, downloaded or otherwise received, directly or indirectly from Client or an User by or through the Software. Client Software Package(s) means Client’s mobile or website application(s), in which the Client wants to embed the Software. Client Trademarks means Client’s trademarks, trade names, service marks, trade dress, logos and derivative works. Documentation means documentation provided by MailUp to the Client in electronic format. Effective Date means the date this Agreement comes into effect, as notified by MailUp to the Client with an email sent to the email address provided by the Client in the Registration Form and that the Client declares to periodically check. Harmful Code means any software, hardware or other technology, device or means, including any virus, worm, malware or other malicious computer code, the purpose or effect of which is to (a) permit unauthorized access to, or to destroy, disrupt, disable, distort, or otherwise harm or impede in any manner any (i) computer, software, firmware, hardware, system or network or (ii) any application or function of any of the foregoing or the security, integrity, confidentiality or use of any data Processed thereby, or (b) prevent Client or any User from accessing or using the Software or MailUp Systems as intended by this Agreement. Harmful Code does not include any MailUp Disabling Device. Hosted Images images that are included in the content created with the Software and that are hosted and delivered by the Software at the time the content is viewed. Image Delivery Fees means a periodic fee calculated based on the amount of data that is transferred when Hosted Images are delivered at the time the content is viewed, expressed in GigaBytes, times the dollar amount per GigaByte for the selected Subscription Plan. Image Delivery Fees only apply when the selected Client Application has been configured to use Hosted Images. There are no Hosting Fees for images other than Hosted Images. Intellectual Property means all current and future worldwide copyright, patents, utility models industrial designs, trademarks, domain names, database right and other intellectual property rights, whether or not capable of registration, whether or not registered, and applications of any of the foregoing and all intellectual property rights whether now known or created in the future. Losses means any and all losses, damages, liabilities, deficiencies, claims, actions, judgments, settlements, interest, awards, penalties, fines, costs or expenses of whatever kind, including reasonable attorneys’ fees and the costs of enforcing any right to indemnification hereunder and the cost of pursuing any insurance providers. MailUp Disabling Device means any software, hardware or other technology, device or means (including any back door, time bomb, time out, drop dead device, software routine or other disabling device) used by MailUp or its designee to disable Client’s or any User’s access to or use of the Software automatically with the passage of time or under the positive control of MailUp or its designee. MailUp Materials means the Software, Specifications, Documentation and MailUp Systems and any and all other information, data, documents, materials, works and other content, devices, methods, processes, hardware, software and other technologies and inventions, including any deliverables, technical or functional descriptions, requirements, plans or reports, that are provided or used by MailUp or any Subcontractor in connection with the Software, including any third party materials licensed to MailUp, or otherwise comprise or relate to the Software or MailUp Systems. For the avoidance of doubt, MailUp Materials include Resultant Data and any information, data or other content derived from MailUp’s monitoring of Client’s access to or use of the Software, but do not include Client Data. MailUp Systems means the information technology infrastructure used by or on behalf of MailUp in performing the Software, including all computers, software, hardware, databases, electronic systems (including database management systems) and networks, whether operated directly by MailUp or through the use of third-party services. MailUp Trademarks means the MailUp verbal and design trademark, the BEE Plugin verbal and design trademark and derivatives thereof. MailUp is a registered trademark. Renewal is defined in Section 7.2. Software means the BEE Plugin software, including modifications, enhancements, improvements, updates, additions, derivative works, object code compiled therefrom, documentation and related material. Subscription Fees means a periodic fee that the Client undertakes to pay at the beginning of the billing period for use of the Software under the provisions of the selected Subscription Plan. Subscription Plan means a subscription to the Software that provides a certain number of features as listed at https://developers.beefree.io/signup and a certain number of Prepaid Users, as listed on the same page. A Subscription Plan must be selected for each Client Application created by Client. Term Is defined in Section 7.2. Total Fees means Subscription Fees for the following billing period plus, if applicable, Additional User Fees and Image Delivery Fees for the current billing period. User(s) means Pre-paid Users together with Additional Users. Website means https://beefree.io, including any third-level-domain and sub-domains. demonstrate the Software to potential Users. to access, execute, display, perform, operate and otherwise use the integration or interface developed by MailUp to create interoperability between the Software and the Client Software Packages (including any application programming interface developed and maintained by MailUp to enable such interoperability) and to authorize Client customers to access, execute, display, perform, operate and otherwise use the Software utilizing such integration or interface within the Client Applications. Third Party Services Providers (as defined below in this Section) solely for the purpose of permitting such Third Party Services Providers the right to access, execute, display, perform and otherwise use the Software as part of the services provided by such Third Party Services Providers to Client and to reproduce the Software for archival, back-up, and disaster recovery purposes for the benefit of Client. As used in this Agreement the term “Third Party Services Providers” shall mean those third party information technology vendors (including third party hosting provider(s)) of Client who are subject to contractual obligations of confidentiality and protection of proprietary rights. Except for the limited usage rights Client may grant to Users and Third Party Service Providers and except for the assignment or transfer by Client to any of its Affiliates, the license rights granted in this Agreement are not transferable and not assignable to third parties. 3.3. Restrictions. The License rights to the Software granted in this Agreement are for the Client’s and its customers’ internal business purposes and the Client shall not license, distribute or otherwise grant rights in the Software to its Users except as embedded, linked, bundled with, or otherwise incorporated into the Client Applications. The Client shall not market, sublicense or resell the Software as a stand-alone product or services offering. The Client shall not knowingly or intentionally grant to any User greater license rights to the Software than the rights granted to the Client under this Agreement and shall cause each customer to enter into a written license agreement prior to users of such customer being given access to the Software, which contains license restrictions with respect to the Software at least as restrictive as those provided in this Agreement and the restrictions applicable to the Client Software Packages. The Client will not make any representation or warranty on behalf of MailUp concerning the use, availability or features of the Software. 3.4. Consumer legal framework. The Client is aware and expressly accepts that the Software is an instrument reserved to professional users, and therefore this Agreement is not subject to the legal framework applicable to agreements with consumers. 3.5. Subcontractors. MailUp may from time to time in its discretion engage third parties to perform Services (each, a “Subcontractor“). Otherwise access or use the Software or MailUp Materials beyond the scope of the authorization granted under Section 3. The Client shall inform its Users about such non-authorized uses. In the event that MailUp becomes aware of the use of the Software in breach of the above provisions by the Client or its Users, MailUp reserves the right to immediately and definitively block access to and use of the Software and/or to terminate this Agreement for breach in accordance with Section 7.3 of this Agreement. 5.1. MailUp Systems and Security Obligations. MailUp will employ security measures in accordance with applicable industry practice (“Privacy and Security Policy“). 5.2. Client username and password. The Client shall employ all physical, administrative and technical controls, screening and security procedures and other safeguards necessary to maintain the confidentiality of its account and password, with respect to both Access Credentials and Application Keys, and the Client agrees to notify MailUp promptly of any known unauthorized access or of any reasonably suspected breach of its account’s security. The Client shall be liable for losses incurred by MailUp and/or another party due to a third party using the Client’s account or password. 6.1. Client Applications and Cooperation. Client shall at all times during the Term: (a) set up, maintain and operate in good repair and in accordance with the Specifications all Client Applications; (b) provide MailUp personnel with such access to Client Applications as is necessary for MailUp for troubleshooting and to provide the Software in accordance with the availability requirement and Specifications; and (c) provide all cooperation and assistance as MailUp may reasonably request to enable MailUp to exercise its rights and perform its obligations under and in connection with this Agreement. 6.2. Effect of Client Failure or Delay. MailUp is not responsible or liable for any delay or failure of performance caused in whole or in part by Client’s delay in performing, or failure to perform, any of its obligations under this Agreement. 6.3. Corrective Action and Notice. If Client becomes aware of any actual or threatened activity prohibited by Section 6, Client shall, and shall cause its Users to, immediately: (a) take all reasonable and lawful measures within their respective control that are necessary to stop the activity or threatened activity and to mitigate its effects (including, where applicable, by discontinuing and preventing any unauthorized access to the Software and MailUp Materials and permanently erasing from their systems and destroying any data to which any of them have gained unauthorized access); and (b) notify MailUp of any such actual or threatened activity. 7.1. Initial Term. This Agreement will be effective commencing on the Effective Date and will remain in effect for the duration of one Billing Period as selected by the Client (the “Initial Term“) unless and until terminated according to the provisions of this Section 7. 7.2. Renewal. This Agreement will automatically renew (“Renewal“) for additional successive terms having a duration equal to the Billing Period (such successive terms, together with the Initial Term, the “Term“), unless earlier terminated pursuant to this Agreement’s express provisions or the Client gives notice of non-renewal by using the “Cancel my subscription” tool, which will be effective at the expiration of the current Billing Period. In consideration of the availability of the Software, the Client will be required to pay the Fees for the entire current Billing Period, even if it does not use the Software. if MailUp terminates this Agreement pursuant to Section 3.5, 7.3(b) or Section 7.3(c), all fees that would have become payable had the Agreement remained in effect until expiration of the Term will become immediately due and payable, and Client shall pay such fees, together with all previously-accrued but not yet paid fees, on receipt of MailUp’s invoice therefor. 8.1. Fees. The Client shall pay the fees in accordance with this Section 8. 8.2. Subscription Fees. Client shall pay the Subscription Fees for the Initial Term no later than the Effective Date. Client shall pay the Subscription Fees for any Renewal on or prior the Renewal date of each Billing Period in advance. The payment shall be made in U.S. dollars, by credit card or other payment method acceptable to MailUp. MailUp is hereby authorized to implement a recurring credit card payment of the Subscription Fees by processing an automatic pre-authorized charge of the amount of the Subscription Fees for the use of the Software for the Billing Period, subject to termination which may be effected by the Client in accordance with the procedures and timeframes provided under Section 8.
it is aware that for any Additional User the Client shall pay an Additional User Fees available at the following address https://developers.beefree.io/signup; the Client may at any time access the current number of Prepaid Users on the Developer Panel. it is aware of the fact that the exact number of Additional Users will be apparent only at the end of the Billing Period. Therefore, the Client authorizes MailUp to automatically charge the Client for Additional User Fees and Hosting Fees and debit the Client’s credit card in the following Billing Period. 8.4. Failure to Pay. If upon automatic Renewal of this Agreement the pre-authorized charge were unsuccessful for any reason (merely by way of example and without any limitation: expired credit card or inexistence of the necessary funds), MailUp shall inform Client via electronic mail written notice sent to the email address provided by Client in the Registration Form. Client shall have fourteen (14) calendar days from receipt of such notice to cure the breach. If the breach is not cured within such fourteen (14) calendar day period, MailUp shall have the right to suspend performance of the Software without further notice without incurring any obligation or liability to Client or any other person by reason of such suspension, block access and use of the Software, and to terminate this Agreement pursuant to Section 8.3(b) without prejudice to MailUp’s further rights. The Parties agree that in the event of delay in the payment of the fees, MailUp may charge interest at a rate of 1.5% per month, or the highest rate allowed by applicable law, whichever is lower. Client shall reimburse MailUp for all reasonable costs incurred by MailUp in collecting any late payments or interest, including attorneys’ fees, court costs and collection agency fees. 8.5. Taxes. All fees and other amounts payable by Client under this Agreement are exclusive of taxes and assessments. Client is responsible for all sales, use and excise taxes, and any other similar taxes, duties and charges of any kind imposed by any federal, state or local governmental or regulatory authority on any amounts payable by Client hereunder, other than any taxes imposed on MailUp’s income. 8.6. No Deductions or Setoffs. All amounts payable to MailUp under this Agreement shall be paid by Client to MailUp in full without any setoff, recoupment, counterclaim, deduction, debit or withholding for any reason. 8.7. Fees Increases. MailUp may increase the fees by providing written notice to Client at least thirty (30) days’ before the commencement date of any Billing Period. 9.1. Service Level. 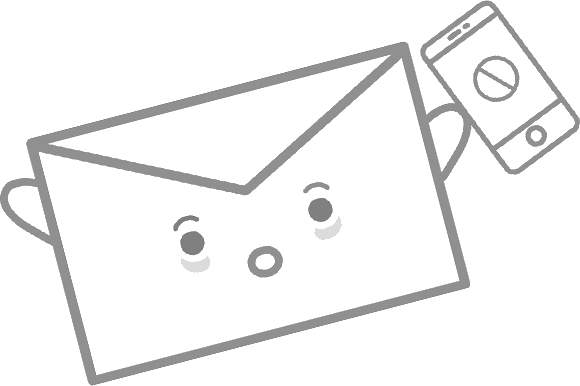 For free Subscription Plans, MailUp will fulfill service level agreements on a commercially reasonable efforts basis. For paid Subscription Plans, MailUp guarantees that the Software will be available 99.5% of the time, 24 hours a day, 365 days a year. This Software availability guarantee does not cover services that are not directly delivered by MailUp and whose availability is outside of MailUp’s control: these include the availability of an Internet connection at the Client’s location, software or hardware problems that are affecting the Client’s computers, and others. The 99,5% uptime calculation does not include maintenance windows that are scheduled to occur at certain times, and are communicated to all Clients before they occur. 9.2. Scheduled Downtime. MailUp will use commercially reasonable efforts to give Client at least 14 days prior notice of all scheduled outages of the Software (“Scheduled Downtime“). 9.3. Support. For free Subscription Plans, MailUp will not provide any support to the Client, but the online manuals and other documentation will be available at http://help.beefree.io. Furthermore, technical information is available on the online community at http://help.beefree.io/hc/communities/public/topics. For paid Subscription Plans, MailUp will use its commercially reasonable efforts to provide standard support services to the Client (“Support Services“) in accordance with the MailUp best practices in effect from time to time through: a) online manuals and other documentation available at http://help.beefree.io; b) online community available at http://help.beefree.io/hc/communities/public/topics; c) via e-mail by opening a support ticket at support@beefree.io. When a support ticket is opened, MailUp staff will use its commercially reasonable efforts to respond to it in a timely manner: a reply to the support ticket is typically provided within 12 (twelve) business hours. Client Software Packages , services, products, materials, contents of the messages, data, and information used by Client in connection with this Agreement and the Software does not as of the Effective Date, and will not during the Term of this Agreement, operate in any manner that would violate any applicable law or regulation. In the event of any breach, or reasonably anticipated breach, of any of Client’s warranties herein, in addition to any other remedies available at law or in equity, MailUp will have the right to immediately, in MailUp’s sole discretion, suspend the access and use of the Software if deemed reasonably necessary by MailUp to prevent any harm to MailUp or its business. it owns or controls all right, title, and interest in and to all Intellectual Property rights therein, necessary to carry out its obligations hereunder and to grant and assign any rights and licenses granted to Client herein. 10.3. EXCEPT FOR THE FOREGOING, THE SOFTWARE IS PROVIDED ON AN “AS IS” BASIS, AND CLIENT’S USE OF THE SOFTWARE IS AT ITS OWN RISK. MAILUP DOES NOT MAKE, AND HEREBY DISCLAIMS, ANY AND ALL OTHER EXPRESS OR IMPLIED WARRANTIES, INCLUDING, BUT NOT LIMITED TO, WARRANTIES OF MERCHANTABILITY, FITNESS FOR A PARTICULAR PURPOSE, NONINFRINGEMENT AND TITLE, AND ANY WARRANTIES ARISING FROM A COURSE OF DEALING, USAGE, OR TRADE PRACTICE. MAILUP DOES NOT WARRANT THAT THE SERVICES WILL BE UNINTERRUPTED, ERROR-FREE, OR COMPLETELY SECURE. WITHOUT LIMITING THE FOREGOING, MAILUP MAKES NO WARRANTY OF ANY KIND THAT THE SERVICES OR MAILUP MATERIALS, OR ANY PRODUCTS OR RESULTS OF THE USE THEREOF, WILL MEET CLIENT’S OR ANY OTHER PERSON’S REQUIREMENTS, ACHIEVE ANY INTENDED RESULT, BE COMPATIBLE OR WORK WITH ANY SOFTWARE, SYSTEM OR OTHER SERVICES EXCEPT IF AND TO THE EXTENT EXPRESSLY SET FORTH IN THE SPECIFICATIONS, OR BE SECURE, ACCURATE, COMPLETE, FREE OF HARMFUL CODE OR ERROR FREE. ALL THIRD-PARTY MATERIALS ARE PROVIDED “AS IS” AND ANY REPRESENTATION OR WARRANTY OF OR CONCERNING ANY THIRD PARTY MATERIALS IS STRICTLY BETWEEN CLIENT AND THE THIRD-PARTY OWNER OR DISTRIBUTOR OF THE THIRD-PARTY MATERIALS. negligence or more culpable act or omission (including recklessness or willful misconduct) by Client, any User, or any third party on behalf of Client or any User, in connection with this Agreement. act, omission or other matter described in Section 11.1(a), Section 11.1(b), Section 11.1(c) or Section 11.1(d), whether or not the same results in any Action against or Losses by any MailUp Indemnitee. 11.3. Indemnification Procedure. Each party shall promptly notify the other party in writing of any Action for which such party believes it is entitled to be indemnified pursuant to Section 11.1 or Section 11.2, as the case may be. The party seeking indemnification (the “Indemnitee“) shall cooperate with the other party (the “Indemnitor“) at the Indemnitor’s sole cost and expense. The Indemnitor shall immediately take control of the defense and investigation of such Action and shall employ counsel of its choice to handle and defend the same, at the Indemnitor’s sole cost and expense. The Indemnitee’s failure to perform any obligations under this Section 11.3 will not relieve the Indemnitor of its obligations under this Section 11 except to the extent that the Indemnitor can demonstrate that it has been prejudiced as a result of such failure. The Indemnitee may participate in and observe the proceedings at its own cost and expense with counsel of its own choosing. THIS SECTION 11 SETS FORTH CLIENT’S SOLE REMEDIES AND MAILUP’S SOLE LIABILITY AND OBLIGATION FOR ANY ACTUAL, THREATENED OR ALLEGED CLAIMS THAT THIS AGREEMENT OR ANY SUBJECT MATTER HEREOF (INCLUDING THE SOFTWARE AND MAILUP MATERIALS) INFRINGES, MISAPPROPRIATES OR OTHERWISE VIOLATES ANY THIRD PARTY INTELLECTUAL PROPERTY RIGHT. 12.1. EXCLUSION OF DAMAGES. IN NO EVENT WILL MAILUP OR ANY OF ITS LICENSORS, SERVICE PROVIDERS OR SUPPLIERS BE LIABLE UNDER OR IN CONNECTION WITH THIS AGREEMENT OR ITS SUBJECT MATTER UNDER ANY LEGAL OR EQUITABLE THEORY, INCLUDING BREACH OF CONTRACT, TORT (INCLUDING NEGLIGENCE), STRICT LIABILITY AND OTHERWISE, FOR ANY: (a) LOSS OF PRODUCTION, USE, BUSINESS, REVENUE OR PROFIT; (b) IMPAIRMENT, INABILITY TO USE OR LOSS, INTERRUPTION OR DELAY OF THE SOFTWARE, (c) LOSS, DAMAGE, CORRUPTION OR RECOVERY OF DATA, OR BREACH OF DATA OR SYSTEM SECURITY, OR (d) CONSEQUENTIAL, INCIDENTAL, INDIRECT, EXEMPLARY, SPECIAL, ENHANCED OR PUNITIVE DAMAGES, REGARDLESS OF WHETHER SUCH PERSONS WERE ADVISED OF THE POSSIBILITY OF SUCH LOSSES OR DAMAGES OR SUCH LOSSES OR DAMAGES WERE OTHERWISE FORESEEABLE, AND NOTWITHSTANDING THE FAILURE OF ANY AGREED OR OTHER REMEDY OF ITS ESSENTIAL PURPOSE. 12.2. CAP ON MONETARY LIABILITY. IN NO EVENT WILL THE AGGREGATE LIABILITY OF MAILUP AND ITS LICENSORS, SERVICE PROVIDERS AND SUPPLIERS UNDER OR IN CONNECTION WITH THIS AGREEMENT OR ITS SUBJECT MATTER, UNDER ANY LEGAL OR EQUITABLE THEORY, INCLUDING BREACH OF CONTRACT, TORT (INCLUDING NEGLIGENCE), STRICT LIABILITY AND OTHERWISE, EXCEED AN AMOUNT EQUAL TO THE FEE PAID BY THE CLIENT TO MAILUP DURING THE BILLING PERIOD IN WHICH THE DAMAGES FIRST OCCURRED. The Client recognizes that MailUp is always innovating and finding ways to improve the Software with new features and services. Therefore, the Client agrees that the Software may change from time to time and no warranty, representation or other commitment is given in relation to the continuity of any functionality of the Software. MailUp will use its reasonable commercial effort to inform Client of any upcoming Software changes and to introduce features that substantially alter the functioning of the Software in a disabled state with the ability for Client to activate them at their leisure. MailUp may not be deemed in any way liable for the failure to perform this Agreement caused by factors falling outside its reasonable control (a “Force Majeure Event“) including by way of example and without any limitation, acts of God, uprisings, acts of terrorism and war, strikes, labor stoppages or slowdowns or other industrial disturbances, riots, tornadoes, hurricanes, floods, mudslides and landslides fire, earthquake or explosion, embargoes or blockades in effect on or after the date of this Agreement, national or regional emergency, passage of law or any action taken by a governmental or public authority, or national or regional shortage of adequate power or telecommunications or transportation. The Client may not assign its rights or delegate its duties under this Agreement either in whole or in part without the prior written consent of MailUp. Any attempted assignment or delegation without such consent will be void. MailUp may assign this Agreement in whole or part without Client’s consent upon fifteen (15) days prior written notice to the Client. This Agreement will bind and inure to the benefit of each party’s successors and permitted assigns. 16.1. Software and MailUp Materials. All right, title and interest in and to the Software and MailUp Materials, including all Intellectual Property Rights therein, are and will remain with MailUp or MailUp licensor’s, as applicable. Client has no right, license or authorization with respect to any of the Software or MailUp Materials except as expressly set forth in Section 3.1 and 3.2, in each case subject to Section 6. All other rights in and to the Software and MailUp Materials are expressly reserved by MailUp and the respective third-party licensors. In furtherance of the foregoing, Client hereby unconditionally and irrevocably grants to MailUp an assignment of all right, title and interest in and to the Resultant Data, including all Intellectual Property Rights relating thereto. 16.2. Client Data. As between Client and MailUp, Client is and will remain the sole and exclusive owner of all right, title and interest in and to all Client Data, including all Intellectual Property Rights relating thereto, subject to the rights and permissions granted in Section 16.3. 16.3. Consent to Use Client Data. Client hereby irrevocably grants all such rights and permissions in or relating to Client Data: (a) to MailUp, its Subcontractors and the MailUp personnel as are necessary or useful to perform the Software; and (b) to MailUp as are necessary or useful to enforce this Agreement and exercise its rights and perform its hereunder. 16.4. Data Processing Addendum. To the extent that MailUp processes any Personal Data (as defined in the DPA) that is subject to the GDPR (as defined in the DPA), on behalf of the Client, in the provision of the Software, the terms of the data processing addendum at https://beefree.io/wp-content/uploads/2018/11/20180619-BEE-Plugin-Data-Processing-Addendum-v.-1.0-Final.pdf (“DPA“), which are hereby incorporated by reference, shall apply and the parties agree to comply with such terms. For the purposes of the Standard Contractual Clauses attached to the DPA, when you are the data exporter, your agreeing to this Agreement shall be treated as signing of the DPA, including, without limitation, the Standard Contractual Clauses and their Appendices. Any tax cost deriving from the performance of this Agreement, including taxes for advertising activities, shall be borne by the Client. If to Client: to the address provided by Client in the Registration Form. The Parties hereby agree that: (a) words in electronic form shall be deemed to be “writing” for the purposes of all applicable legislation where “writing” is required; and (b) electronic evidence shall be admissible in any court or other quasi-judicial proceedings between the Parties. 19.1. Each party acknowledges that it will have access to certain confidential information of the other party concerning the other party’s business, plans, clients, technology, and products, including the terms and conditions of this Agreement (“Confidential Information“). Confidential Information includes, without limitation, trade secrets, ideas, processes, formulae, computer software (including source code), algorithms, data, data structures, scripts, applications, programming interfaces, protocols, know-how, copyrightable material, improvements, inventions (whether or not patentable), techniques, strategies, business plans, product development plans, timetables, forecasts, client and supplier lists, product and/or service designs, specifications and schematics, product and/or service costs, product and/or service prices, product and/or service names, financial information, employee information, marketing plans, business opportunities, research activities and results, market research activities and results, and development activities and results. Each party shall not use in any way, for its own account or the account of any third party, except as expressly permitted by this Agreement, nor disclose to any third party (except as required by law or to that party’s attorneys, accountants and other advisors as reasonably necessary), any of the other party’s Confidential Information and shall take reasonable precautions to protect the confidentiality of such information. 19.2. Information will not be deemed Confidential Information if such information: (i) is known to the receiving party prior to receipt from the disclosing party directly or indirectly from a source other than one having an obligation of confidentiality to the disclosing party; (ii) becomes known (independently of disclosure by the disclosing party) to the receiving party directly or indirectly from a source other than one having an obligation of confidentiality to the disclosing party; (iii) becomes publicly known or otherwise ceases to be secret or confidential, except through a breach of this Agreement by the receiving party; or (iv) the receiving party can demonstrate by written or other documentary records is independently developed by the receiving party without reference to or use of any Confidential Information. The provisions set forth in the following sections, and any other right or obligation of the parties in this Agreement that, by its nature, should survive termination or expiration of this Agreement, will survive any expiration or termination of this Agreement: Section 4 (Use Policy), Section 7.4 (Effect of Expiration or Termination), Section 8 (Fee and Payments), Section 10(Representations and Warranties), Section 11 (Indemnification), Section 12 (Limitations of Liability), Section 16 (Ownership of the Software), Section 19 (Confidential Information), Section 21 (Ownership of Resultant Data), Section 25 (Miscellaneous), Section 26 (Governing Law, Venue and Jurisdiction) and this Section 20. MailUp will derive aggregated data, information, and other content by or through the Software from processing Client Data, which is sufficiently different from such Client Data and cannot be identified from the inspection, analysis or further processing of such data, information, or content (the “Resultant Data“). MailUp will assure the full anonymization of the Resultant Data to avoid any processing and diffusion or communication of personal data of the Client. Client authorizes MailUp to use the Resultant Data in order to contribute to the effective improvement of the functioning of the Software and the production of statistical information that may be published by MailUp in aggregate form. MailUp reserves the right at all times to disclose the Resultant Data as it deems necessary to satisfy any applicable law, regulation, legal process or governmental request. MailUp may unilaterally amend this Agreement. All amendments will be effective from the moment in which the new version of this Agreement is accepted on line by the Client. Any subsequent use of the Software shall be deemed an acceptance by the Client of the same amendments and/or supplements. 23.1. Client Trademarks. The Client hereby acknowledges and accepts that MailUp can use Client Trademarks in presentations, marketing materials, client lists and financial reports. “in-app”, purchasable by the Users. The content and activities of these “in-app” are subject to their terms and policy. 24.1. Entire agreement. This Agreement, including the external links which constitute an integral part hereof, abrogates and supersedes all previous agreements, understandings and negotiations, whether written or oral, between the Parties concerning the subject matter of this Agreement. 24.2. Waiver. No waiver by any party of any of the provisions hereof shall be effective unless explicitly set forth in writing and signed by the party so waiving. No failure to exercise, or delay in exercising, any rights, remedy, power or privilege arising from this Agreement shall operate or be construed as a waiver thereof; nor shall any single or partial exercise of any right, remedy, power or privilege hereunder preclude any other or further exercise thereof or the exercise of any other right, remedy, power or privilege. 24.3. Severability. If one or more of the clauses of this Agreement is declared null and void or unenforceable by the competent court of law, the remaining clauses of this Agreement shall continue to be valid and effective between the Parties, unless such clause constituted a determinant reason for the conclusion of this Agreement. 24.4. Headings. The headings contained in this Agreement or in any exhibit or schedule hereto, or linked document, as applicable, are for reference purposes only and shall not affect in any way the meaning or interpretation of this Agreement. 24.5. No relationship. The Parties to this Agreement are independent contractors. There is no relationship of partnership, joint venture, employment, franchise, or agency between the Parties. Neither Party shall have the power to bind the other or incur obligations on the other’s behalf without the other’s prior written consent. This Agreement shall be governed by and construed in accordance with the internal laws of the State of California applicable to agreements made and to be performed entirely within such State, without regard to the conflicts of law principles of such State. Each party hereto irrevocably submits to the exclusive jurisdiction of (a) the Supreme Court of the State of California, San Francisco County, or (b) the United States District Court for the Northern District of California, for the purposes of any suit, action or other proceeding arising out of this Agreement or any transaction contemplated hereby or thereby. Each of Client and MailUp agrees to commence any such action, suit or proceeding either in the United States District Court for the Northern District of California or if such suit, action or other proceeding may not be brought in such court for jurisdictional reasons, in the Superior Court of the State of California, San Francisco County. Each of Client and MailUp further agrees that service of any process, summons, notice or documents by U.S. registered mail to such party’s respective address set forth above shall be effective service of process for any action, suit or proceeding in California with respect to any maters to which it has submitted to jurisdiction in this Section. Each of Client and MailUp irrevocably and unconditionally waives any objection to the laying of venue of any action, suit or proceeding arising out of this Agreement or the transactions contemplated hereby and thereby in (i) the Superior Court of the State of California, San Francisco County, or (ii) the United States District Court for the Northern District of California, and hereby and thereby further irrevocably and unconditionally waives and agrees not to plead or claim in any such court that any such action, suit or proceeding brought in any such court has been brought in an inconvenient forum.